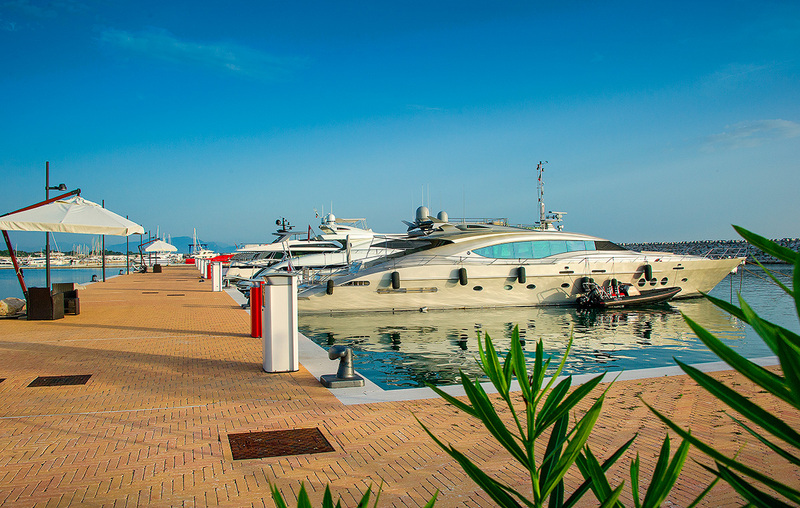 Salerno has three marinas – Porto Nuovo nearest the centre, Porto Turistico further along the seafront, and the new 1,000-berth Marina d’Arechi, three miles south-east of Salerno. They’re not expensively trendy and you can genuinely relax before tackling the livelier ports of call around the corner. Backed by sheltering hills, Salerno has a bustling commercial harbour and one of the sunniest climates in Italy. The town is not too touristy and the old quarter is a delightful maze of back streets and gently crumbling buildings. The long promenade is lined with palms and in the evenings locals are out strolling, watching and being watched. At sunset the chatter rises to a crescendo, especially around card tables in the waterside gardens. You can easily linger several days to absorb this carefree atmosphere. Salerno is also a convenient place to leave a boat if you fancy visiting the eerie excavated ruins at Pompeii, 40 minutes away by train. As you leave Salerno, its mountains show their true scale. Near the peak of Monte San Liberatore stands an old convent with a prominent cross. Heading west you can cruise close inshore, peering through the glasses at incredible hillside villas, some high above the shore with vertigo views, others barely beyond wave height. Rounding Capo d’Orso you pass Maiori and Minori, seaside settlements casually littered with Roman remains. Hanging above Minori is the amazing village of Ravello, one of the most visited stops on Italy’s tourist trail. Clustered 350m above the sea, Ravello feels very old and serene. Visitors are drawn here by two famous villas on the cliff edge. The medieval terrace of Villa Rufolo (pictured above) is the centrepiece for Ravello’s summer music festival, when the audience can gaze past the orchestra to the bay below. The 18th century Villa Cimbrone was landscaped by Lord Grimthorpe, one of countless English aristocrats captivated by Italy’s charms, climate and people. His tranquil gardens have a breathtaking belvedere walk. 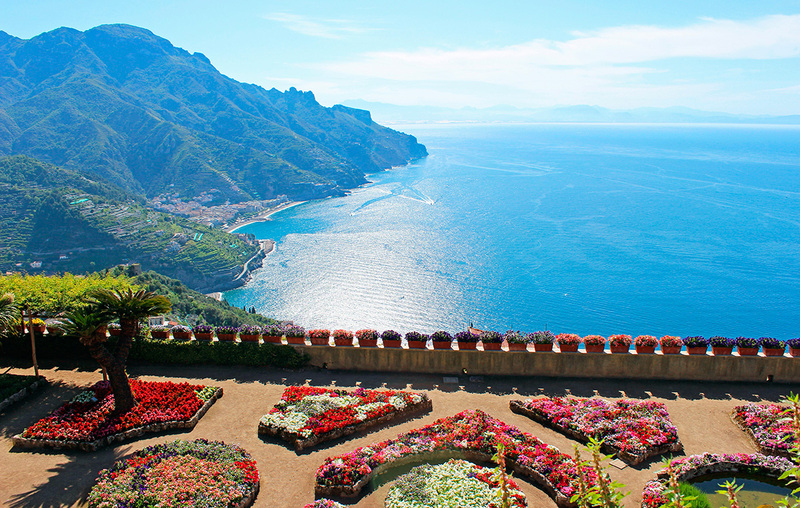 Beyond Ravello, Amalfi looks enticing from the sea, piled up like a house of cards. The lower town centres around a Moorish cathedral, peeping above homely red pantiles. The east side of the harbour curves out to a headland guarded by a Saracen fort. Behind the town, a winding road climbs through a gap in the hills into wild terrain.